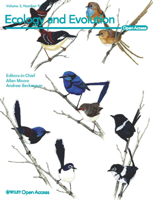 The identification of native sources and vectors of introduced species informs its ecological and evolutionary history and may guide policies that seek to prevent future introductions. Population genetics represents a powerful set of tools to identify origins and vectors, but can mislead when the native range is poorly sampled or few molecular markers are used. Here, we traced the introduction of the Asian seaweed Gracilaria vermiculophylla (Rhodophyta) into estuaries in coastal western North America, the eastern United States, Europe and northwestern Africa by genotyping more than 2500 thalli from 37 native and 53 non-native sites at both mitochondrial and nuclear loci. Overall, greater than 90% of introduced thalli have a genetic signature similar to thalli sampled from the coastline of northeastern Japan, strongly indicating this region served as the principal source of the invasion. Notably, northeastern Japan exported the vast majority of the oyster Crassostrea gigas during the 20th Century. The preponderance of evidence suggests G. vermiculophylla may have been inadvertently introduced with C. gigas shipments and that northeastern Japan is a common source region for estuarine invaders. Each invaded Northern Hemisphere coastline reflects a complex mix of direct introductions from Japan and secondary introductions from each invaded coastlines. The spread of G. vermiculophylla along each coastline was likely facilitated by aquaculture, fishing and boating activities. Our ability to document a source region was enabled by a robust sampling of locations and loci that previous studies lacked and strong phylogeographic structure along native coastlines.